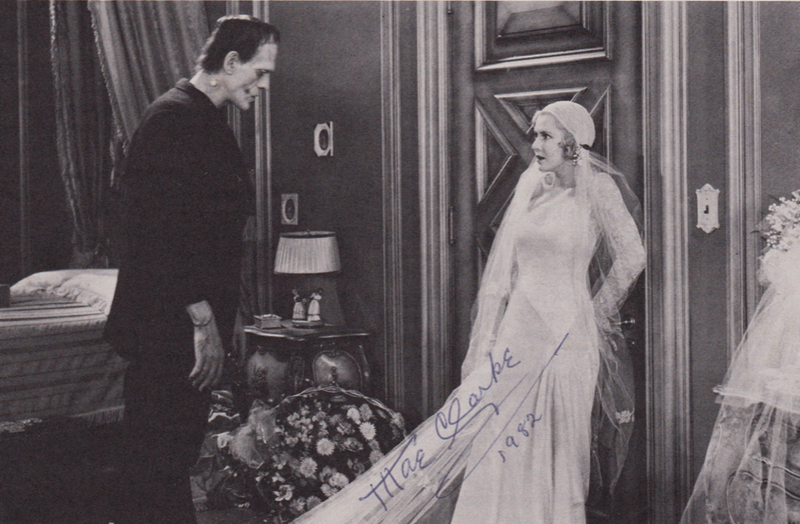 With Boris Karloff in Frankenstein (1931). 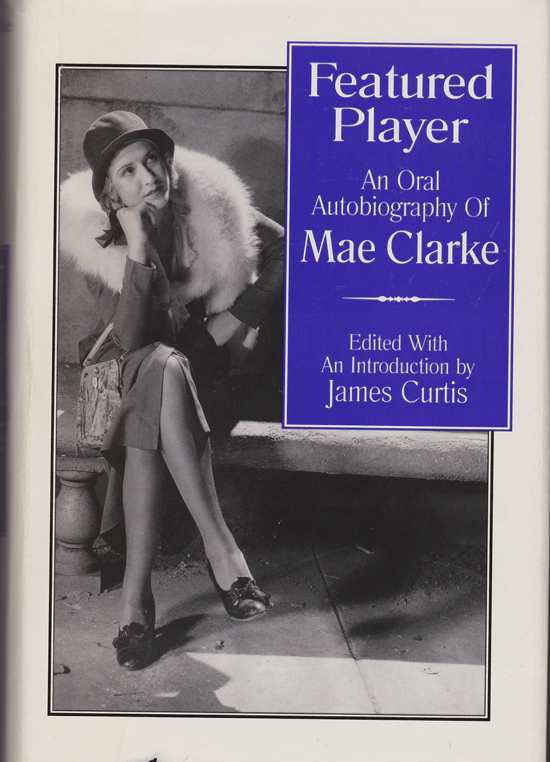 I never got to meet or interview Mae Clarke, but I did correspond with her once. It was back in the early 1980s when I was writing everyone with one question: What advice would you give a young man just starting out in the world. Mae did answer, which surprised me, after I realized I had butchered her name. Not only her first name, but her last. I must have addressed her as May Clark. Her handwritten letter started with “CLARKE (with an E)” and “Also: Mae.” I understand. I hate it when people call me Michelle or Mr. Gingrich. When someone calls the house and asks for “Mr. Annnnnkk …..ee err ich,” Charlie figures it’s a telemarketer and immediately spouts, “If you can’t pronounce his name, you can’t speak to him” and hangs up. I got some really good advice from Mae. Take a look. 1. Waste not want not. 2. Cast not your pearls to the swine. 3. A friend in need is a friend indeed. 4. To err is human; to forgive is divine. 5. 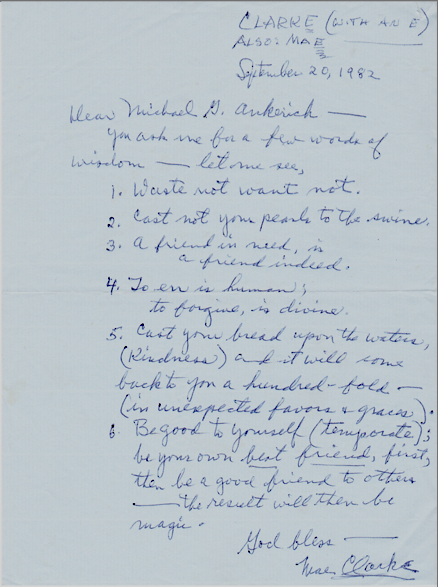 Cast your bread upon the waters (kindness) and it will come back to you a hundred-fold (in unexpected favors & graces). 6. Be good to yourself (temporate); be your own best friend, first, then be a good friend to others — the result will then be magic. I have followed her last point over the years. I’m here to tell you, friends, it’s true. Thank you, Mae! If you haven’t, read Mae’s oral autobiography (edited by James Curtis). It’s written in Q and A format. The book is a treasure. It’s not too late to follow some of Mae’s words of wisdom. Remember, it’s Mae with an “E” and Clarke with an “E”. The delightful Mae Clarke in People magazine.